This garden cleanup was from a few years ago. The Junction is a funky neighbourhood in the western part of Toronto and "funky" would describe this backyard before I cleaned it up. The owners are a couple with a young child who have little time to maintain the garden. Weeds like goldenrod, lamb's quarters, and more than a few thistles took over the back area; moreover, Virginia Creeper was on its way in covering the lawn completely. 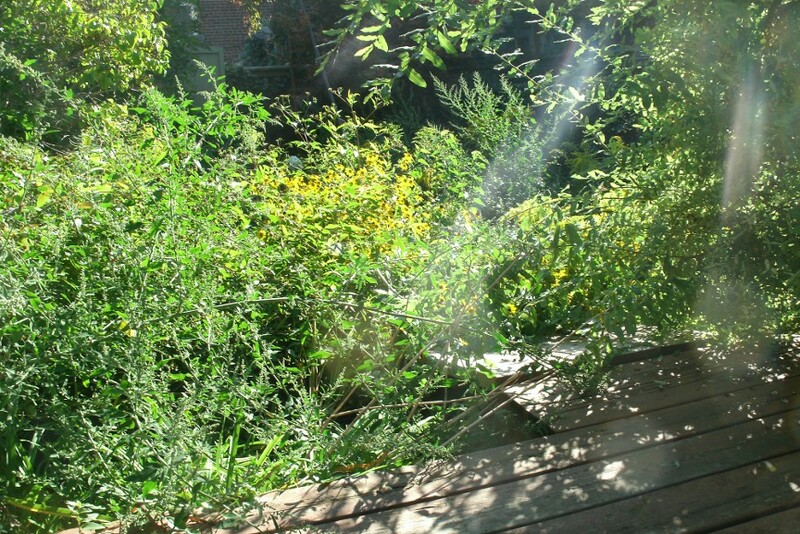 Shrubs like purple leaf sandcherry, lilac and a variegated willow required much-needed pruning and shaping. These next two pictures were taken from the raised deck, looking east. 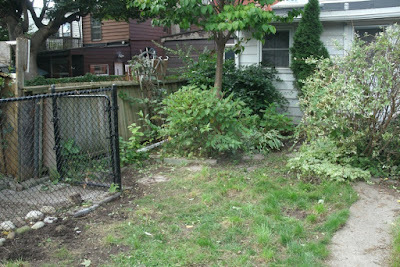 (The fenced in area next to the garage is a dog run area installed by the previous owner.) 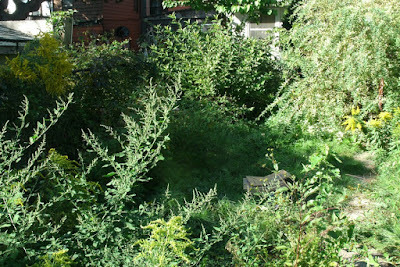 Yes, many of the weeds were at least 3 feet tall! 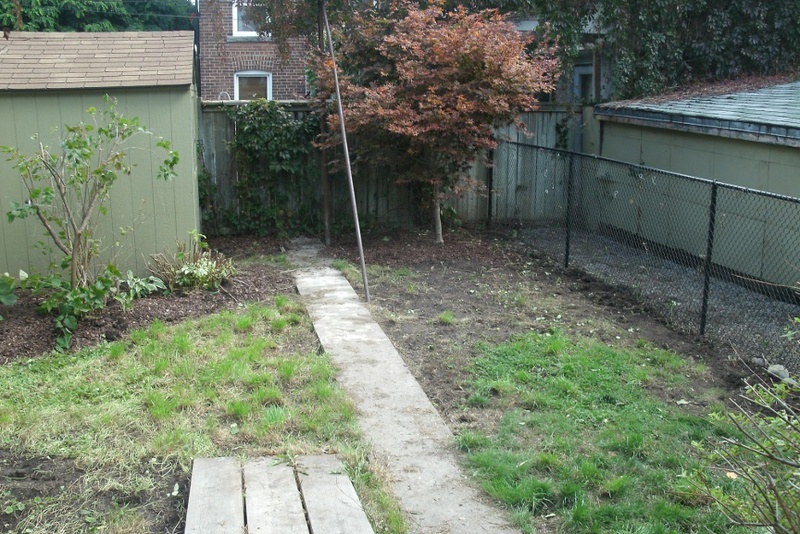 These next two before and after shots are looking west, on the ground level towards the back of the house. I suggested to either overseed the lawn or to replace it with new sod. The area does receive full sun for most of the day so growing turf can certainly occur.